Dorrough Inks A Deal With The Cowboys, Vice Palace Stops Booking Shows, And SXSW Announces Its First Crop of Bands. 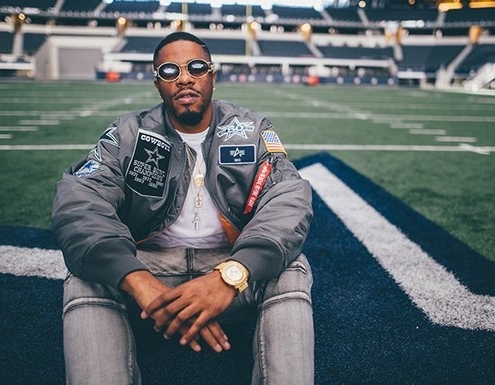 Three years after writing his Dallas Cowboys anthem, Dorrough Music’s efforts are finally being recognized by Jerry & the Boys. Last week, the “Ice Cream Paint Job” rapper and America’s Team signed an agreement that’s said to include things like a new line of merch, a commercial filmed inside the AT&T Death Star, and a concert series called Dorrough Music & Friends that’ll take place in the stadium. Hashtag it’s their time. In all seriousness, we’re all for new events for bands to play — especially ones at places that are clean on the inside. In case you already missed it, we posted earlier this morning about another new event to look forward to in the upstart Fortress Festival, which will debut in Fort Worth’s Cultural District next spring. In other fest news, SXSW announced its initial 150 acts last week. This early crop hails from 26 different countries, including a trio of undiscovered talents from right here in Dallas. Those would be gospel singer-songwriter Michael Bethany, Kirk Franklin protege Candy West and Frankie C. Wilson Jr., who also happens to host a gospel radio show. There are several more announces to come. In fact, the submission process is still open! Artists looking to submit to this year’s SXSW have until this Friday, October 21, to send those applications in via Sonicbids. Back here in Dallas Town, King Camel’s expanding his booking empire, pairing up with The Armoury D.E. to launch a free Saturday night live music series called Locked & Loaded. It kicks off later this month on October 29 with Chipper Jones performing along with some local support. Conversely, that roving music venue known as Vice Palace will get out of the booking game altogether following its final four shows in November. The Vice Palace name, however, will live on as a tape label. What’s more, it’s probably the only tape label anywhere that’s not only received grants from the City of Dallas, but one from SMU as well. Of course, another medium used to document performances is the music video, and there are plenty of folks with new ones this week. 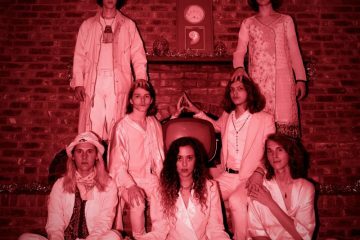 The Buffalo Ruckus just put out a black-and-white tour-heavy clip for the “Hills and Valleys” single from its just-released Peace and Cornbread LP. Another clip for Ishi’s “Bring the Thunder” also recently made its debut via Noisey. Worth noting: Fifty percent of the digital sales of Juno, the EP from whence this single hails, will go to Music is Our Weapon, a nonprofit that uses music to treat various disorders. 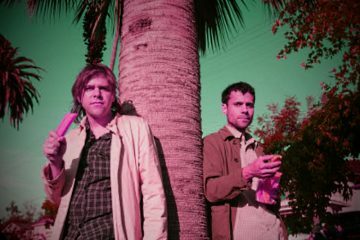 And, when first we heard of Plain Jane Francis and Tony Q a few years back, they were months into a streak of releasing a new music video every week. So we probably should have guessed that last week’s first new video from the pair in a year wouldn’t have been a one-off. Also, True Widow released a video for another Avvolgere track. Like the band’s prior vids, the “FWTS:LTM” video was done by Mats Eks, using clips of the band shot in Dallas, Terlingua, Big Bend National Park, Mexico, Sweden and Norway. Switching media again, -topic continued the saga of his missing backpack, recording a song directly addressing the fool who ganked his stuff. Another entity looking for donations is Rock Your Heart Out, which is organizing a concert and art auction at Life in Deep Ellum on November 5, where funds raised will go to the Human Rights Initiative of North Texas, “a Dallas-based non-profit that has been serving victims of violence from all over the world through essential legal and social services for the last sixteen years.” For more info on the organization or the event head here. Finally, we end things with a pair of sad notes. In recent days, rapper Hawatha Hurd and R&B singer Demarcus “X-Man” Washington were each the victims of fatal gunshot wounds. The incidents were unrelated. A candlelight vigil for Hurd will be held tonight at Skyline High School. They will be missed. Next ArticleAnother Shot At Life.